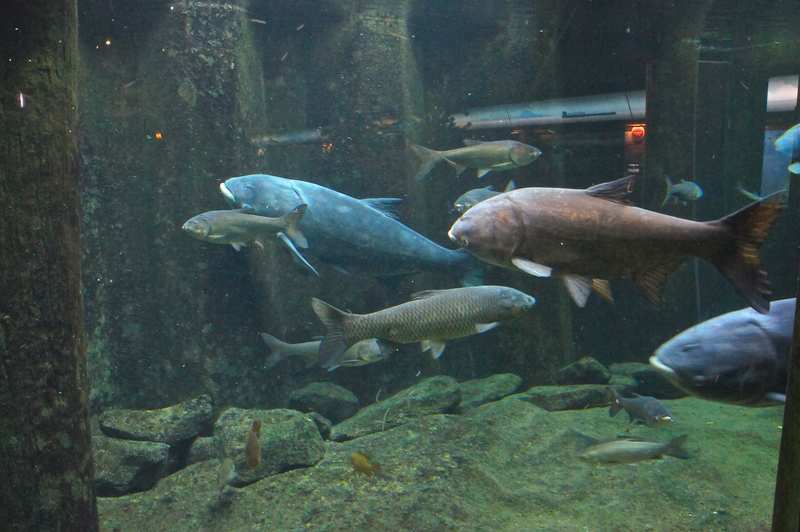 Millions of people get their most up-close-and-personal experiences with aquatic ecosystems by visiting aquariums. It is natural, therefore, that aquariums also serve as platforms for informing consumers about sustainable seafood practices. While Monterey Bay Aquarium in Monterey, California, has set the pace with its Seafood Watch program, others are actively engaged in guiding people toward responsible choices that help conserve fish populations and maintain ecological balance in oceans and freshwater bodies. One of these is Chicago’s Shedd Aquarium — located directly on the shore of Lake Michigan — which developed its Right Bite program, which works with consumers and the Chicago culinary industry to increase the availability of sustainable seafood in the region. As a part of this program, Right Bite issues consumer recommendations utilizing the seafood sustainability science of Seafood Watch. These are tailored to the Chicago region and rank individual species in the categories “Best Choices” (color-coded green), “Good Alternatives” (yellow), and “Avoid” (red). 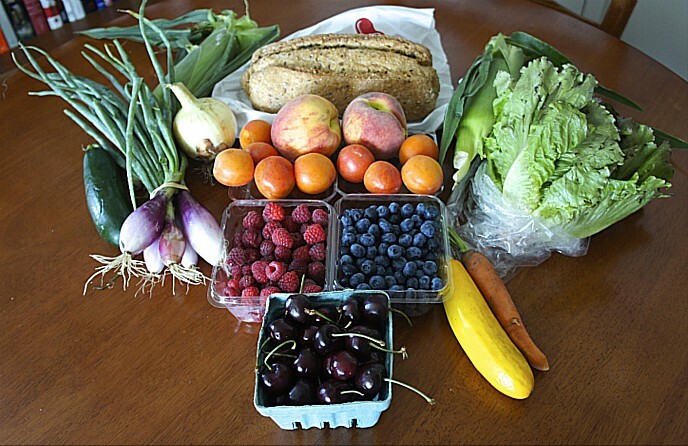 Representatives from Shedd will be on hand at FamilyFarmed’s Good Food Festival on Saturday, March 21, to discuss the program and ways each of us can support healthy lakes and oceans through our seafood choices. They also will hand out Right Bite wallet cards that shoppers can take with them when they go to buy seafood. A copy of the current guide, issued in January 2015, is below. 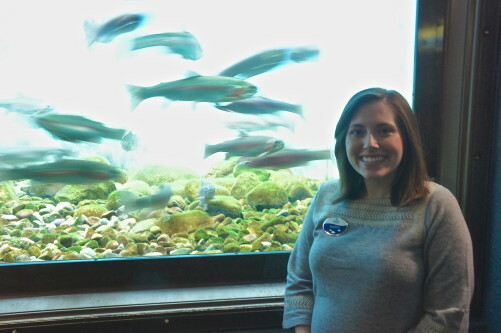 Aislinn Gauchay stands in front of a display of Great Lakes region trout at Shedd Aquarium, where she is manager for Great Lakes and sustainability programs. The Right Bite program is, in fact, designed to be useful for those who are new to the concept as well as those who have long subscribed to sustainable seafood practices. “You can’t hit someone who doesn’t have the knowledge of how the world’s oceans work with infinite sustainability information. What we try to do is make it really accessible, to make it easy, to make it reassuring, and to make it hopeful,” Gauchay said. While working to steer consumers toward ocean fish that are in ample supply and away from those that are facing sustainability challenges, Shedd has a particular mission: encouraging consumers to consider eating fish harvested from the Great Lakes. One of the big challenges in meeting that goal is an outdated perception that fish taken from those waters might not be safe to eat— dating to the era, prior to the Clean Water Act and other environmental laws, in which parts of the lakes were heavily polluted with industrial wastes. Some retailers were ahead of the curve in emphasizing sustainability seafood, including Whole Foods Market (which is a premier sponsor of the Good Food Festival & Conference). But the higher profile that sustainable seafood has gained, in part through programs such as Right Bite and Seafood Watch, has stimulated consumer demand, to which more mass-marketing retailers are responding. Many top chefs are also now stars of the sustainable seafood movement. One of these is Paul Fehribach, chef-owner of Big Jones restaurant, which serves traditional Southern cuisine in Chicago’s Andersonville neighborhood. Fehribach is on the board of the nonprofit Chefs Collaborative, which promotes the values of the Good Food movement among the culinary community. He is a regular participant in Chefs Collaborative’s annual “trash fish” dinners, which, despite its derogatory-sounding name, is about lesser-known species of fish that are good to eat and have ample population stocks. Fehribach notes that some of the most popular food fish today once were much less highly regarded. “Lobster is an erstwhile trash fish, if you go and look back in the colonial times, the indentured servants had to petition to please, only feed us lobster once a week,” he said. He noted that Gulf of Mexico redfish was a trash fish until celebrated Cajun chef Paul Prudhomme popularized spicy blackened redfish. 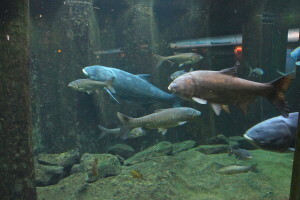 Asian carp, on display at Chicago’s Shedd Aquarium, is an invasive species that is causing problems in some Midwestern waterways. But some sustainable seafood advocates say it has potential as a food fish. 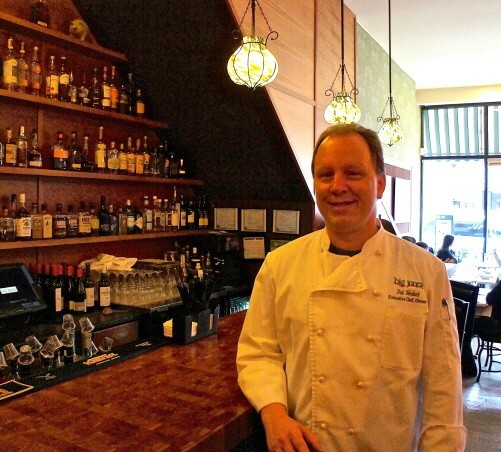 Fehribach will receive of FamilyFarmed’s Good Food Chef of the Year award at the Good Food Festival, and also will be dishing up fare from Big Jones at the Localicious tasting event on Friday night, March 20. 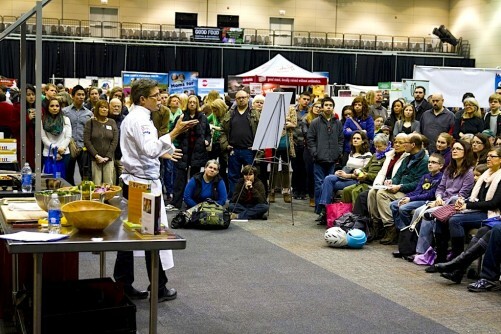 This entry was posted in Fish, Food education, Good Food Festivals, Good Food movement, Good Food restaurant trends, home cooking, Seafood, Sustainable dining, Sustainable food education, Sustainable food retailing, Sustainable seafood and tagged Big Jones restaurant, Chefs Collaborative, FamilyFarmed, Good Food Festival, Good Food Festival & Conference, Monterey Bay Aquarium, Paul Fehribach, Right Bite, Seafood, Seafood Watch, Shedd Aquarium, Shedd Aquarium Right Bite program, Shedd Aquarium sustainability program, Sustainable fish, Sustainable seafood, Trash fish dinners. Bookmark the permalink.